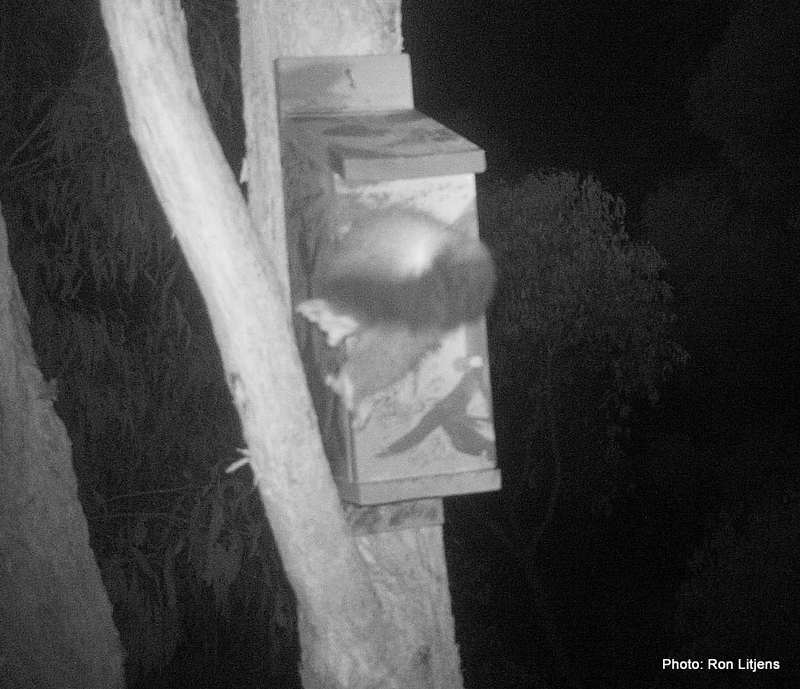 Chubster is a Common Brushtail Possum (Trichosaurus vulpecula) who used to live in our nest box. The possum is so nicknamed not because it is particularly chubby, but because it just seemed to be huge compared to the hole it had to negotiate every night. The photo (left) is the last known image of Chubster trying to wiggle and squeeze itself into the building. A post at the end of last year (click here to view) surmised that due to its size and the upcoming warmer weather, Chubster had not long to reside in these very cosy premises. 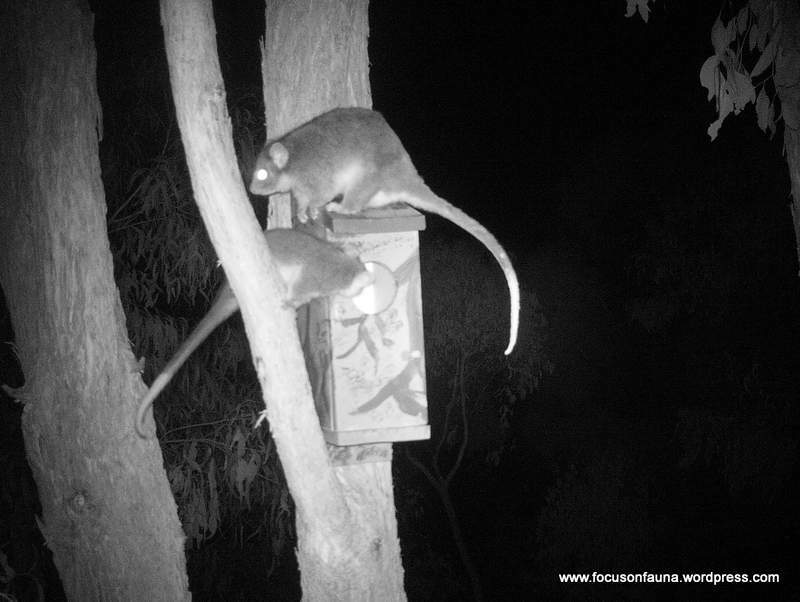 Even before Chubster had left, prospective tenants, in this case two Common Ringtail Possums (Pseudocheirus peregrinus), were lining up to view the property. And sure enough, last week we noticed that the new tenants had moved in – both of them together. 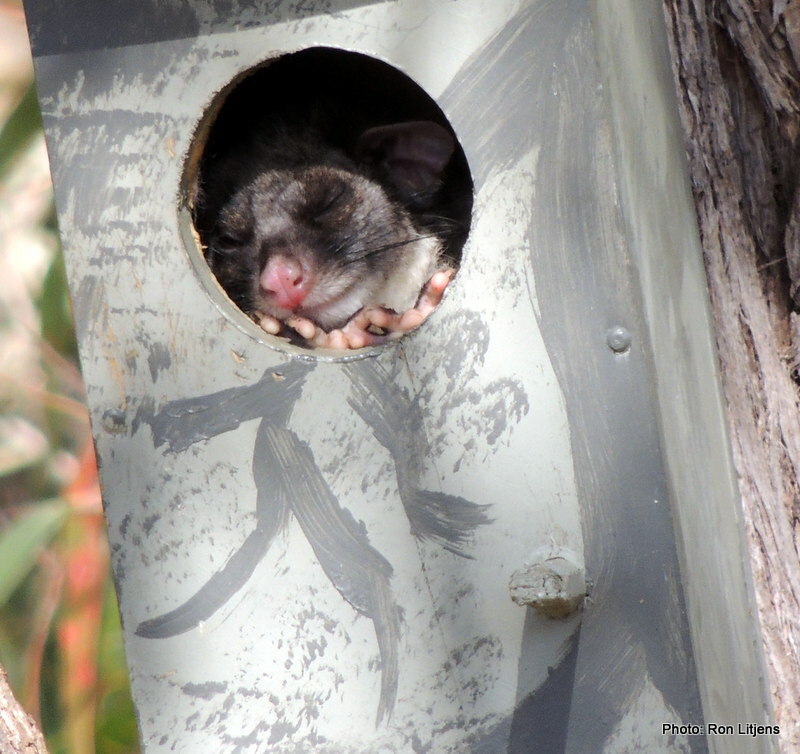 This behaviour is not unusual as these possums commonly live in a communal nest called a drey. Although much smaller than Chubster, in the recent hot weather we have observed these ringies hanging various bits of themselves out of the nest box entrance, or just catching a breath of fresh air. As it turns out, Chubster may be gone but it has not forgotten its old home. 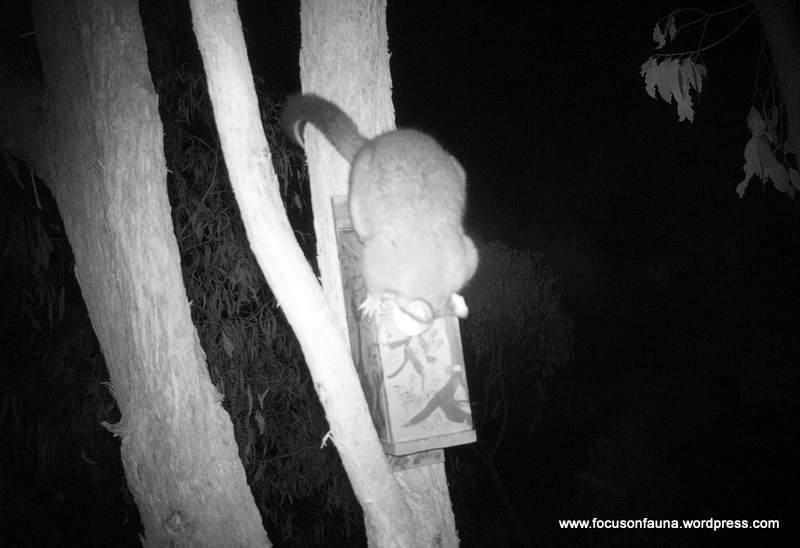 Every night the possum sits on the roof of its old abode and peeks in the hole at the new tenants. There must be a law against that.